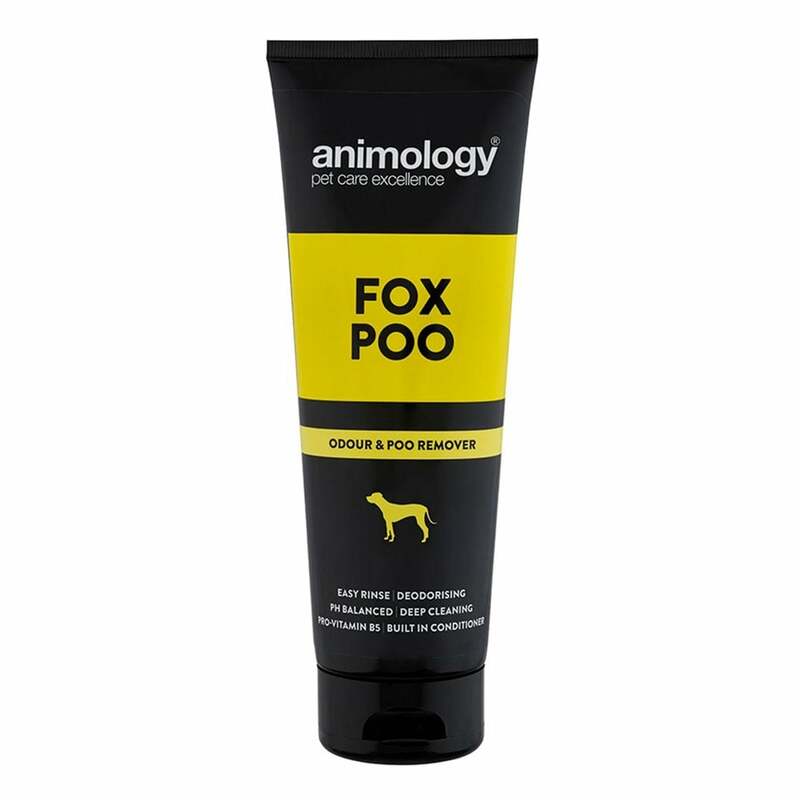 The Animology Fox Poo Shampoo is an unique and exceptionally effective shampoo for successfully removing stubborn fox poo and other faeces, as well as foul odour from your dog's coat. This mild yet deep cleansing shampoo removes dirt and odour without stripping your dog's coat of essential oils. The easy rinse technology allows you to keep wash time to a minimum while the formula is pH balanced to a dog's skin. The pro-vitamin B5 and built-in conditioners within the shampoo help improve the health, strength and condition of your dog's coat. Animology Fox Poo Shampoo is perfect for those dogs who always find something you wish they wouldn't to roll in!